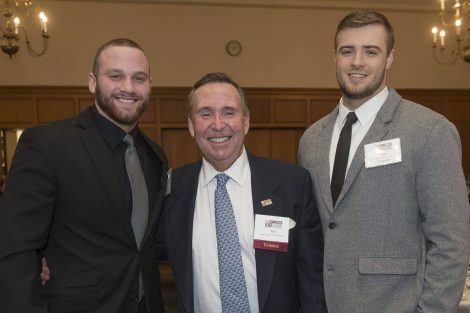 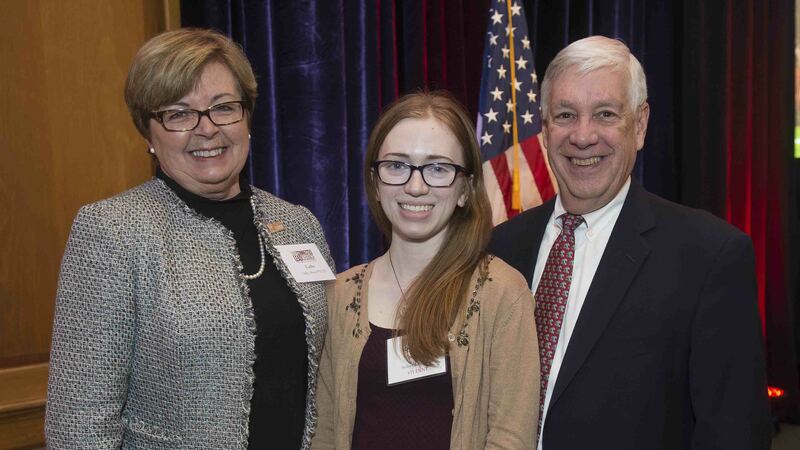 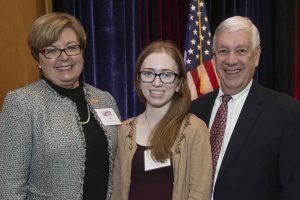 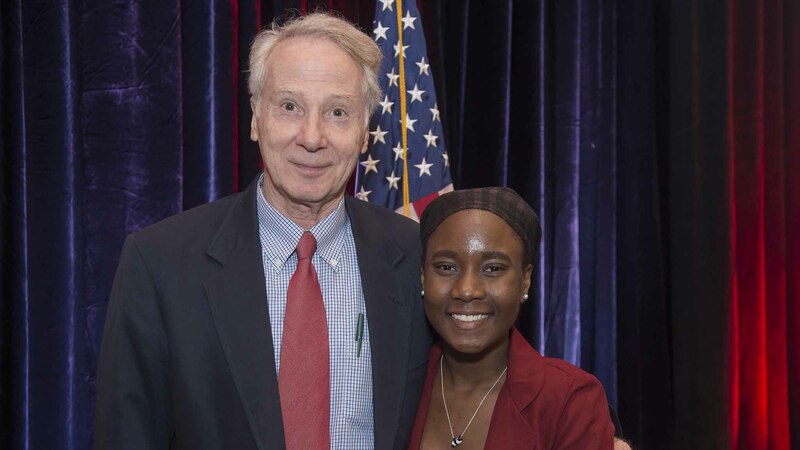 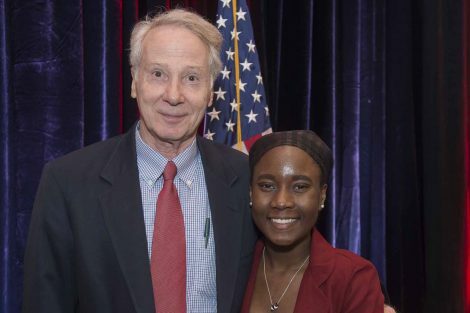 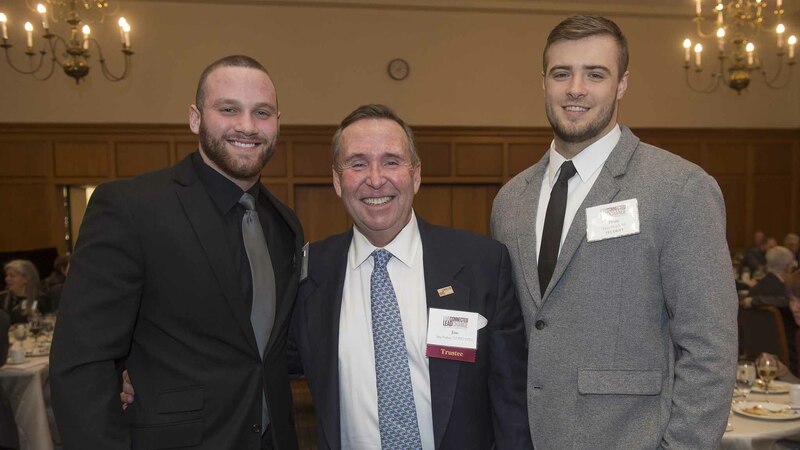 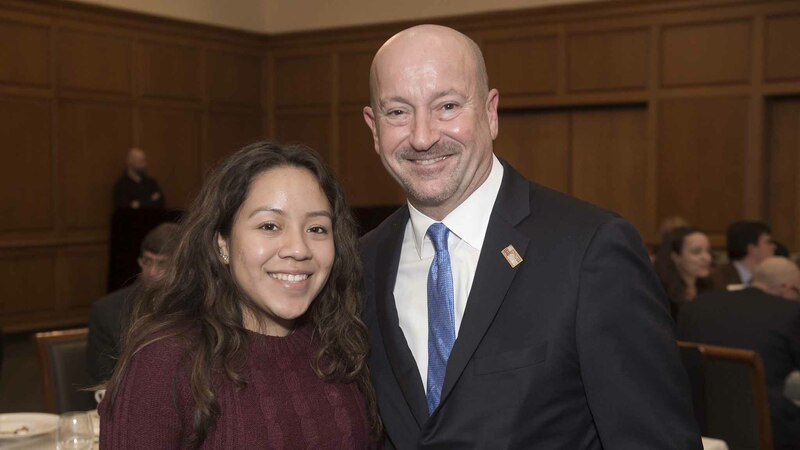 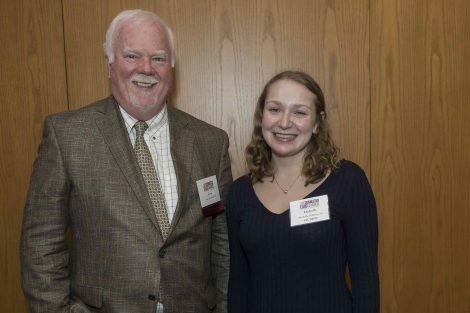 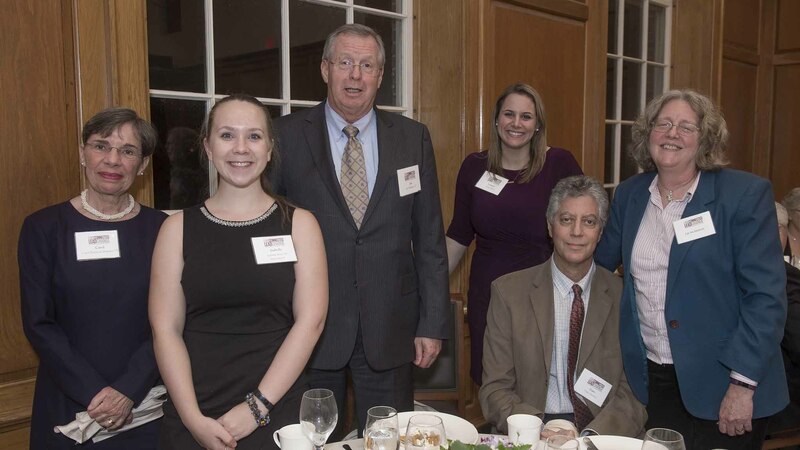 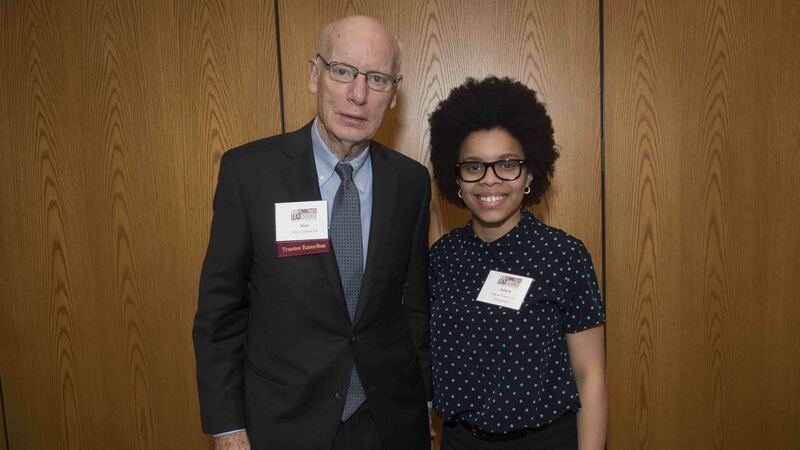 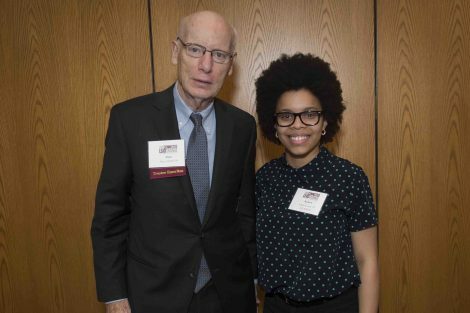 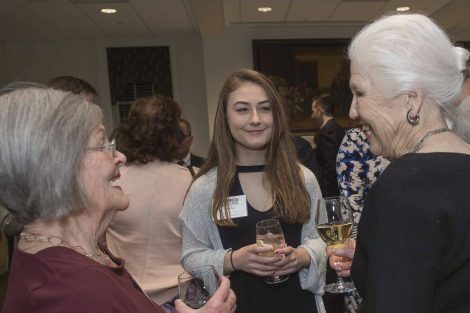 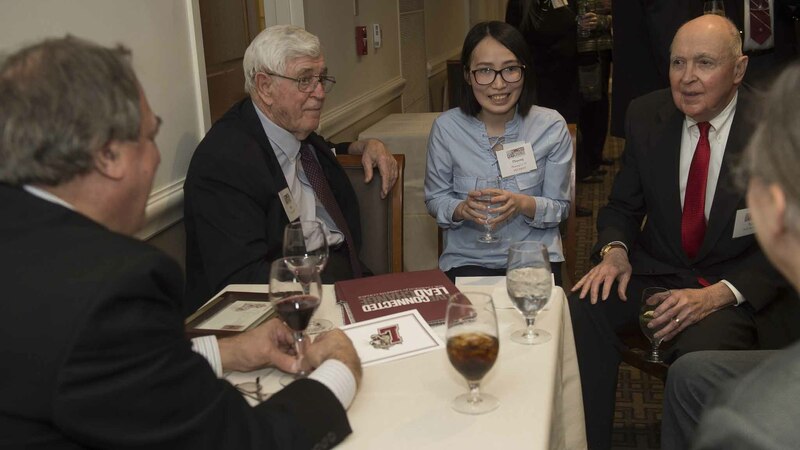 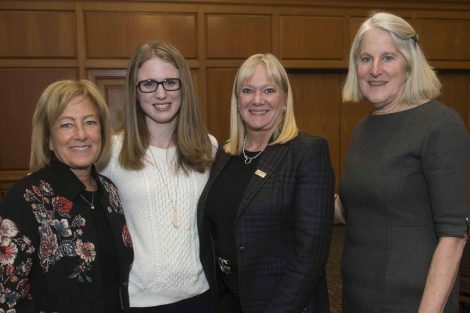 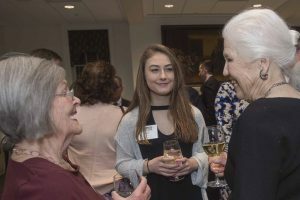 Lafayette celebrated its 13th Scholarship Recognition Dinner on Feb. 23, uniting generous donors with bright and deserving students who benefit from their philanthropy. One of the featured speakers was Andrea Killian ’19, who delivered a touching speech that showcased the impact of her academic scholarship. 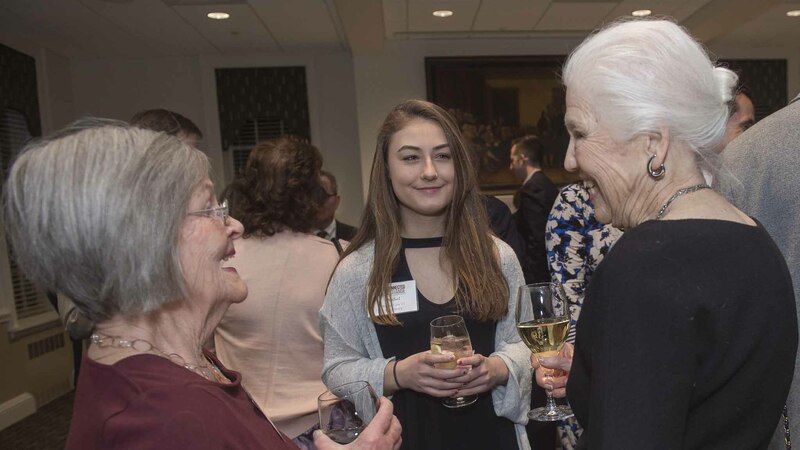 In addition to receiving the Marquis Fellowship, a merit-based scholarship, Killian was awarded the Frederick S. Benson ’26 Scholarship, established by the family of the late Frederick Benson. 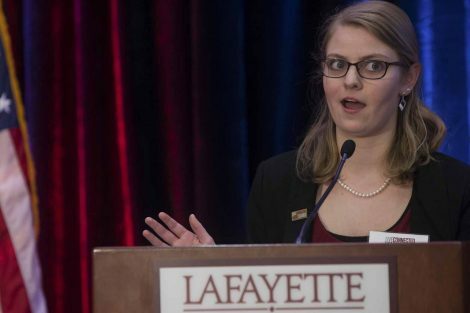 As a senior in high school, Killian admitted she was “afraid to fall in love with Lafayette” because she knew she would not be able to attend without financial aid. 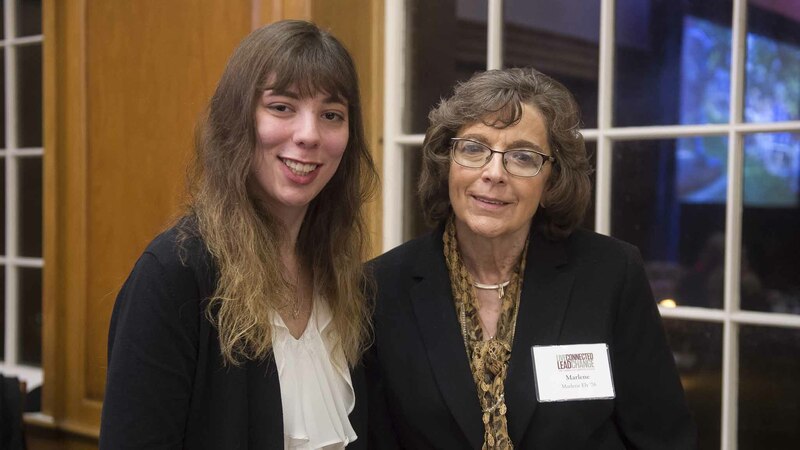 Killian, who is majoring in biochemistry with a minor in history, explains that as a small liberal arts college, Lafayette has afforded her many opportunities, including the chance to participate in research. The focus of Killian’s research—chaperone protein requirements for the propagation of yeast prions—is critical. 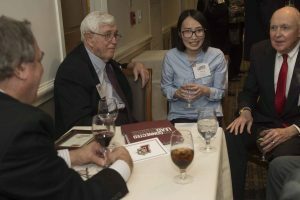 Yeast prions are amyloid aggregates, following a similar structure to plaques found in patients with Alzheimer’s and Huntington’s diseases. 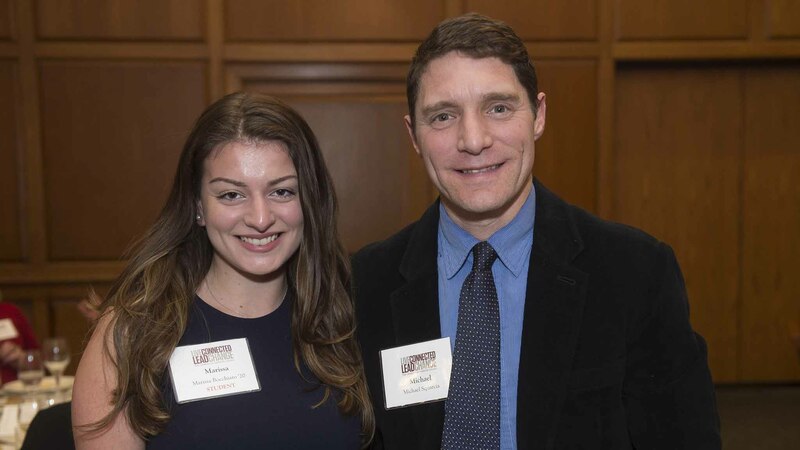 Killian’s research could one day impact treatment for similar neurodegenerative diseases. Her research came to fruition through a chance conversation with Justin Hines, associate professor of chemistry, who has been studying the relationship between chaperone proteins and yeast prions prions since 2007. 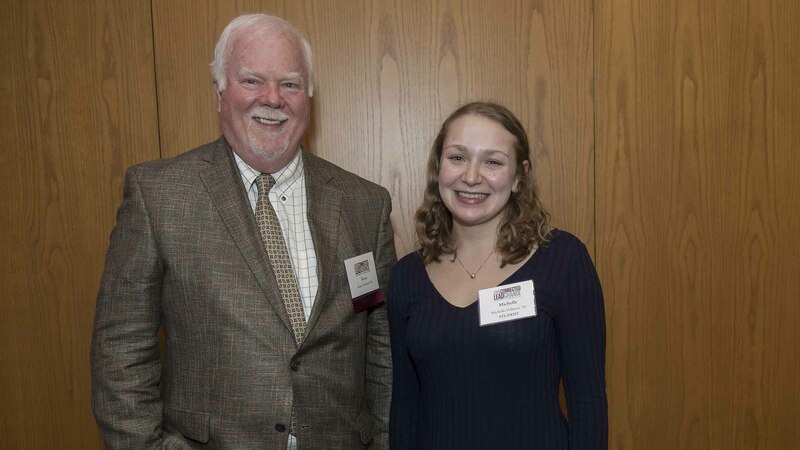 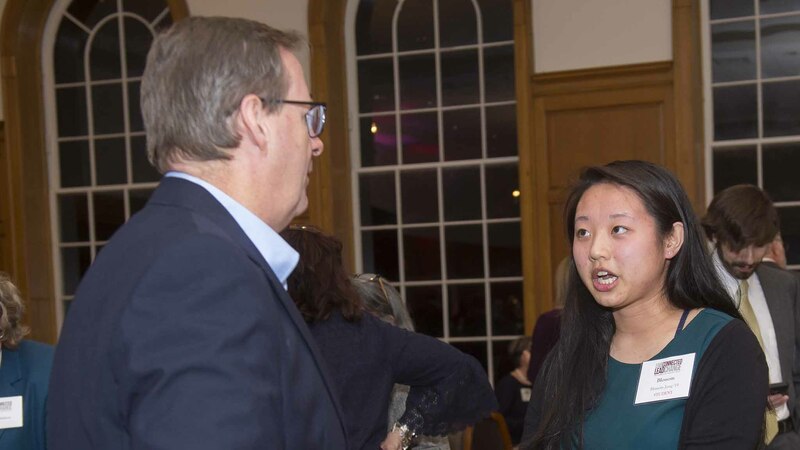 Killian hopes to continue her research in Hines’ lab until she graduates and plans to advance her career in biochemistry in the pharmaceutical industry. 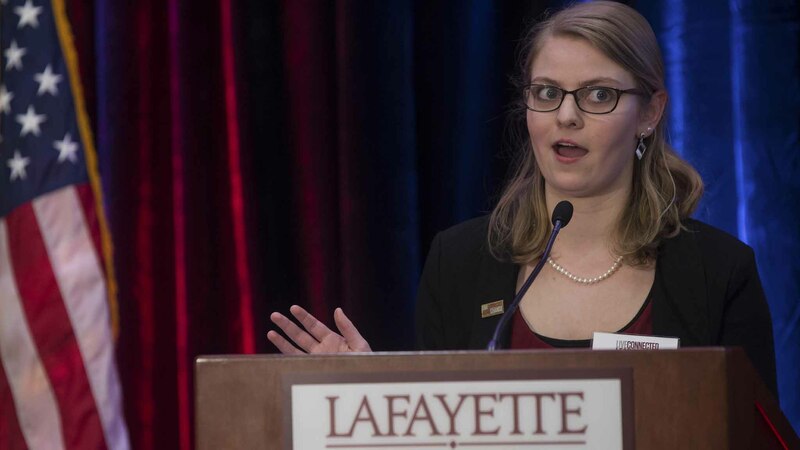 Nearly half the student body receives Lafayette-funded grants and/or scholarships. 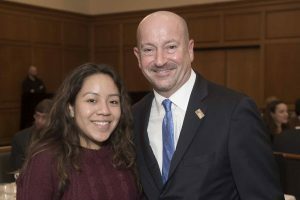 More than $8.2 million of the College’s $47 million financial aid budget is allocated through 600 named scholarships, which are part of the endowment or funded through restricted annual gifts. 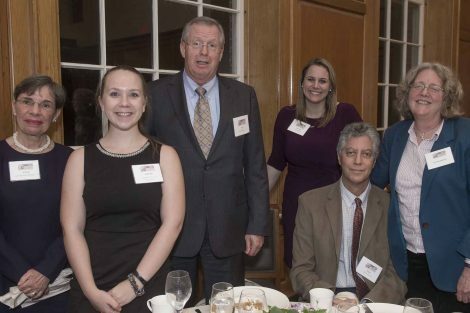 These named scholarships reflect the generosity of many alumni and friends who are committed to keeping a Lafayette education within reach of the most deserving students, regardless of their financial circumstances. 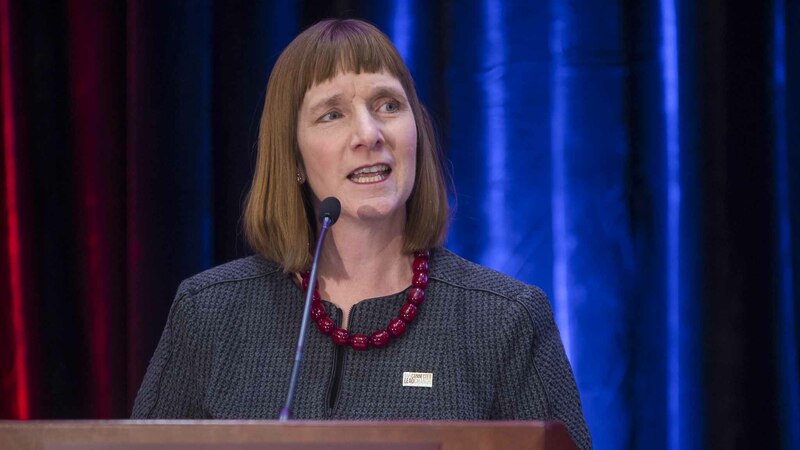 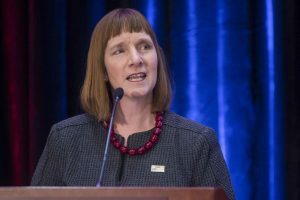 President Alison Byerly made a bold decision in 2016 to launch a strategic direction to enhance Lafayette’s affordability and distinctiveness through growth. 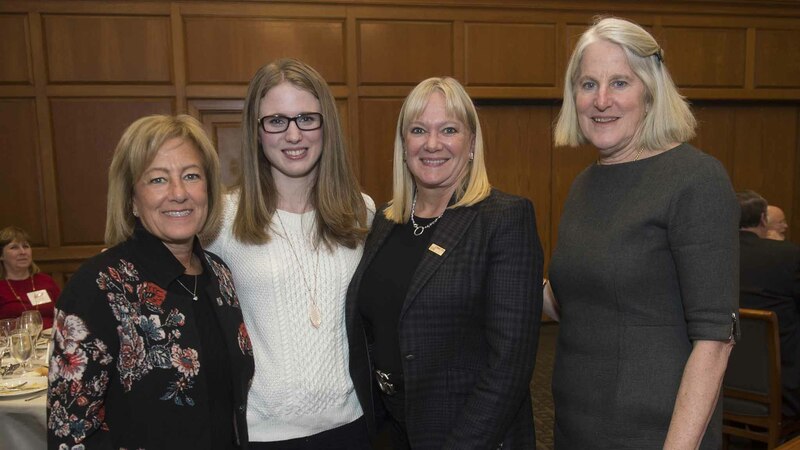 To support this effort, she initiated the President’s Challenge for Financial Aid with the goal of raising $85 million through the Live Connected, Lead Change campaign. 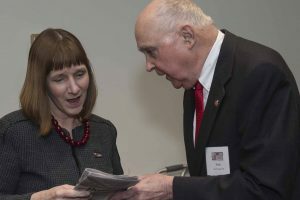 Byerly recently participated in fun videos to promote the President’s Challenge for the second year in a row. Upping her game, she challenged faculty and staff to a lip syncing contest and started it off herself with “Guns and Ships” from the musical Hamilton. 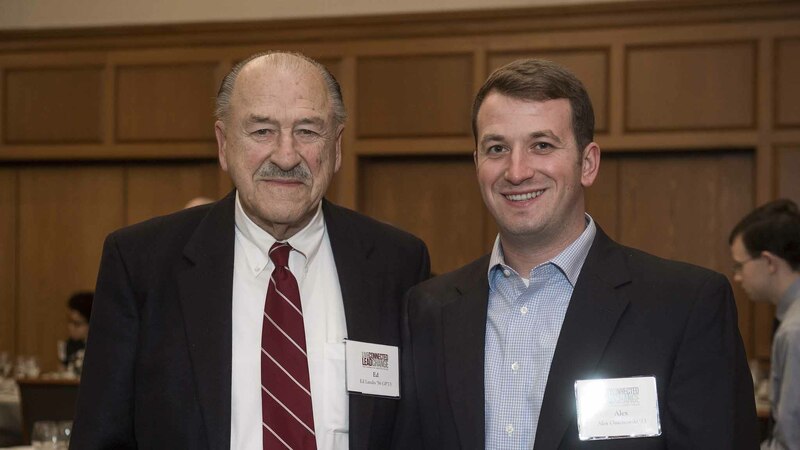 During the evening, Sebastian “Benny” Crapanzano ’97, Annual Fund chair, spoke about the importance of financial aid. 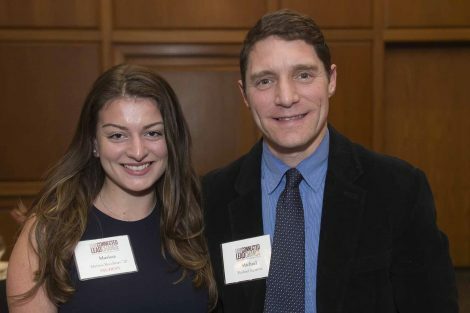 He and his wife, Elisa Crapanzano ’97, created a scholarship to support students with financial need. Crapanzano was a recipient of financial aid during his time at Lafayette and recognizes the power of scholarships for students who do not have the means to afford a Lafayette education. 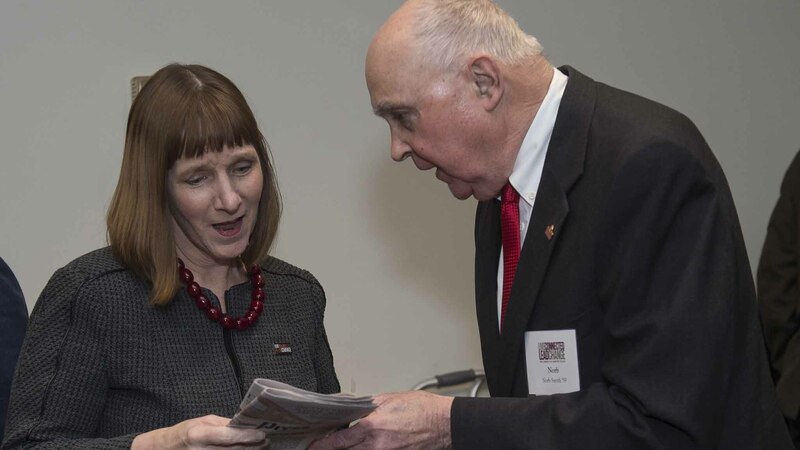 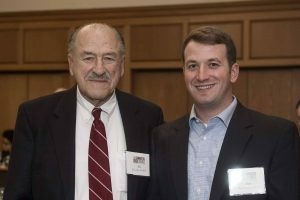 Their scholarship—the Sebastian J. and Elisa B. Crapanzano ’97 Scholarship Fund—is one of many in the College’s endowment that are providing a foundation on which to bring the best students to College Hill. 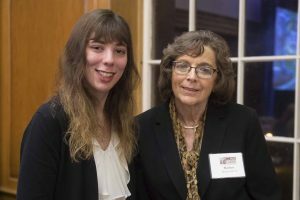 Andrea, why am I not surprised to see an article like this about you? I am very thankful for your work and for those who have made it possible. 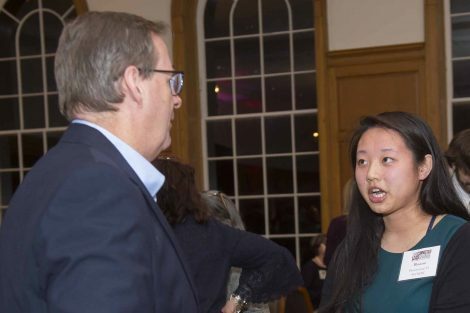 God is and has been at work in your life for some time, young lady. Thank you for your efforts.